OK 48 Clear Boggy Creek, Coal Co. Above, a view through the bridge. 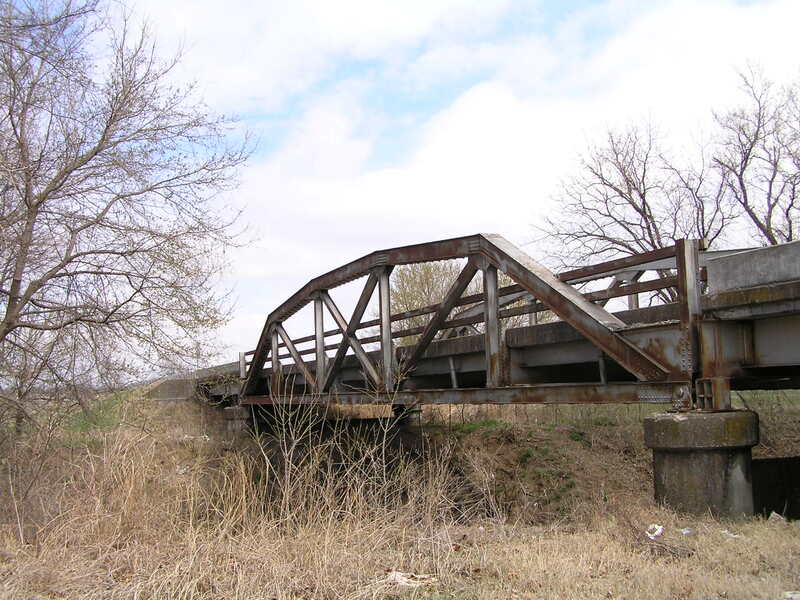 Each of the two steel stringer approach spans is 40 feet long and would have had what we've called concrete "fence" guard rails. 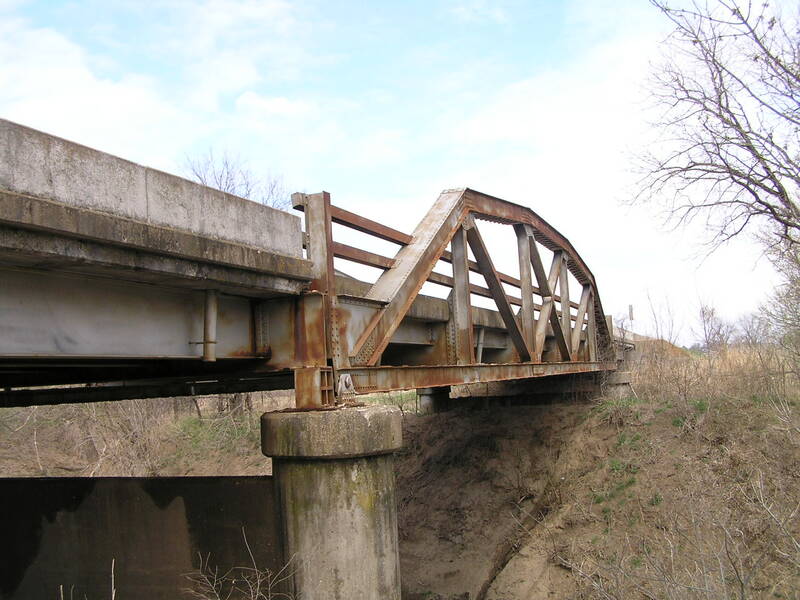 These consisted of concrete posts spaced 8 to 10 feet apart supporting pre-cast horizontal rails spaced roughly the same as the steel rails seen on the truss span. 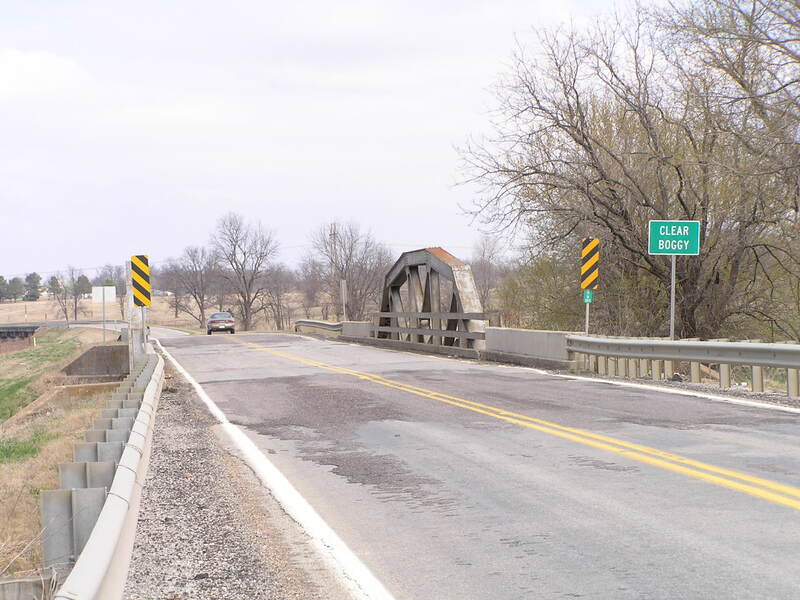 The pony truss itself stands unaltered and is a popular structural type used throughout Oklahoma. Above, a view from along side of the truss span. Below, another close side view. 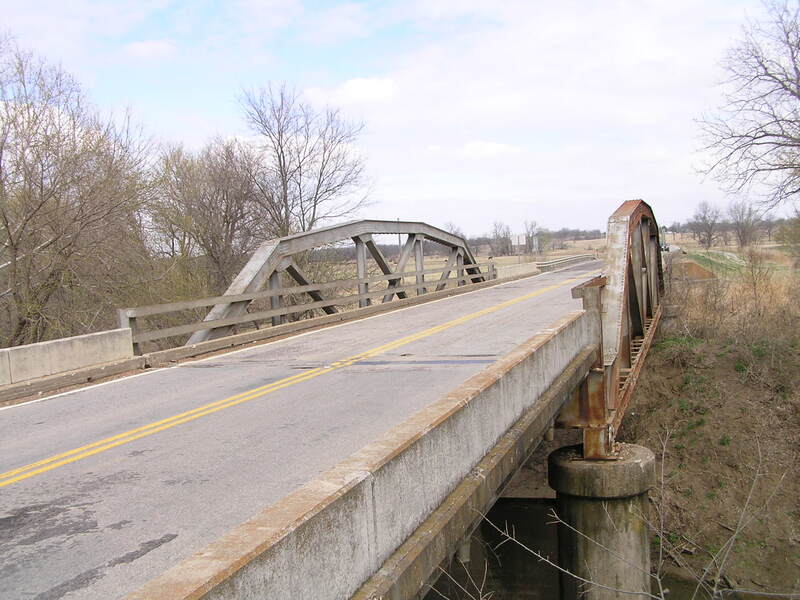 This bridge is still in relatively good shape and is not load posted.